Walls are one of our favorite things to build at Alliance Landscapes. Wether it is for function or for beauty we pride ourselves on building walls that will outlast ourselves. Understanding modern engineering and reinforcement techniques is important when building with Single Unit Retaining Wall Blocks. Proper Drainage and compaction are always automatic considerations as well as consulting with a Licensed Engineer when building over four feet. 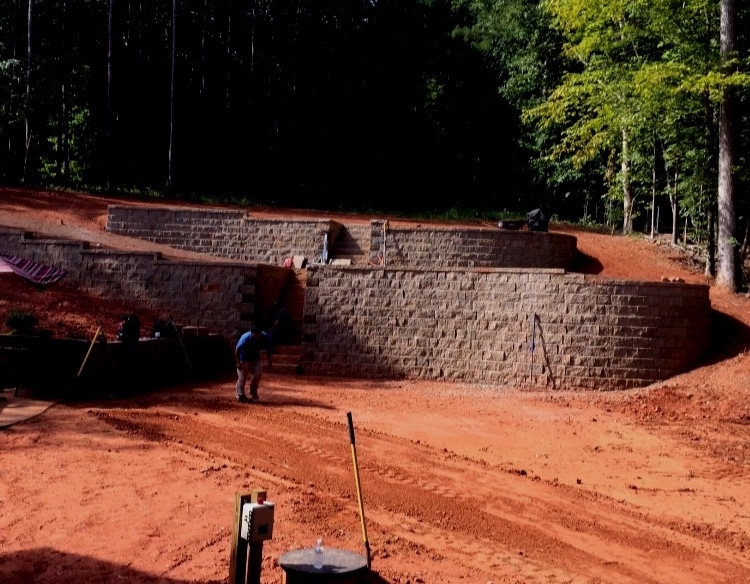 Please feel free to call us today if you are considering building a retaining wall.